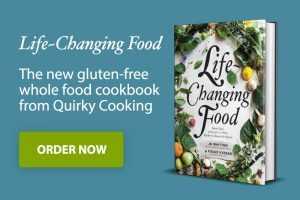 I don’t usually do giveaways on the blog, but here’s one I thought The Food Blog’s readers would enjoy. The fine people at TM Publicity have provided our readers the chance to win one of 5 double passes to see what seems to be a beautifully made French foodie film: Haute Cuisine. You can see the trailer for Haute Cuisine here. Entry to the giveaway is simple. All you need to do is like our facebook page (click here) and leave a comment on this post telling me what your favourite French dish is. We’d also love it if you could share this page on facebook or Twitter so that you can help spread the word on The Food Blog. It’s that simple. Winners will be picked at random and will be announced on April 21st; each winner will receive a double pass to use after the main release on April 25th. The giveaway is open to Australians only. Haute Cuisine is a delicious drama with a generous pinch of comedy, based on the extraordinary true story of President François Mitterand’s private cook, Daniele Delpeuch. It’s filmed on location at the Élysée Palace, in regional France and Antartica, and full of mouth watering dishes and incredible foodie imagery. The film is directed by French film director and screenwriter, Christian Vincent and stars Catherine Frot (nominated for a Cesar Award for Best Actress), Jean D’Ormesson and Hippolyte Girardot. My favourite french dish is escargot! My dad, who loves it would always order on his birthday when I was growing up and he would allow me to have at least one until I was old enough to order my own when I was older. The garlicy buttery goodness and the texture! MMMMMMM…..
Any of the cheeses would be my ultimate indulgence. Brings back memories of walking the Dordogne with cheese and bread for our picnic lunches! I have a very peasant taste: my favourite French dish is onion soup.